There are various Matsuoka oddities out there. 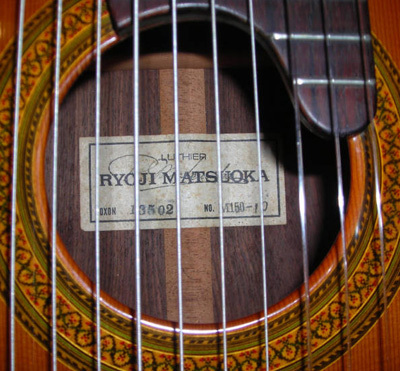 There may well be other brands out there that Matsuoka have produced guitars for beyond Aria, Ibanez and Aranjuez. One offs and unusual limited model runs seem to exist too. The Dreadnoughts seem to be few and fair between, I've heard mention of archtops(though I've never seen one) and once saw an aucton for a 10 String. (MH150-10).